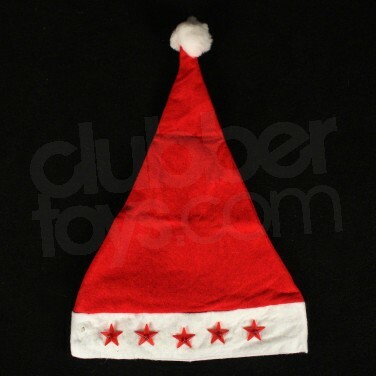 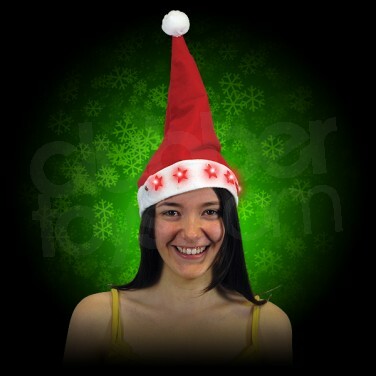 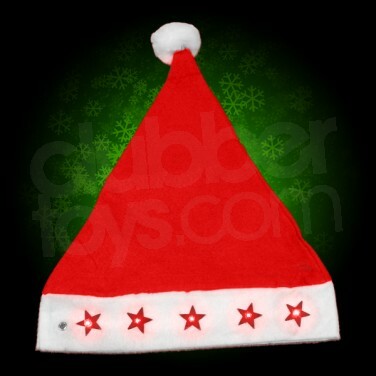 A plush light up 'Santa Hat' with 5 flashing red stars, fluffy pom pom & headband. 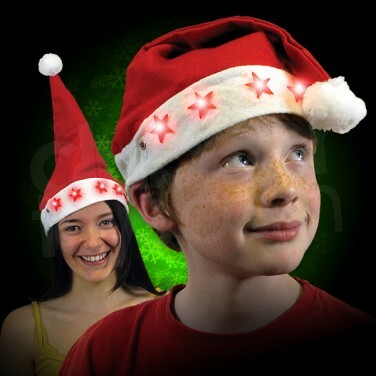 Flashing Santa Hat Get in the festive mood with these lovely light up santa hats with flashing stars. 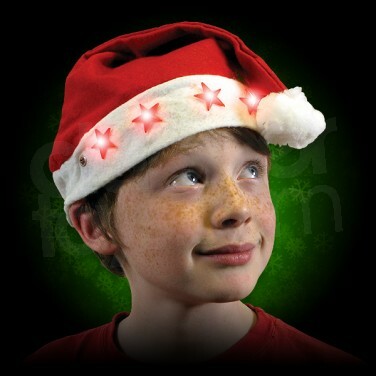 Get glow ho ho'ing!